Early American china marks were few and far between. Pottery was generally utilitarian and unmarked, but as the 19th century wore on, the process began of using backstamps for marketing and identification purposes. The Zanesville, Roseville and East Liverpool districts of Ohio came into their own as a regions and grew many successful makers. Things really began to change after 1920. 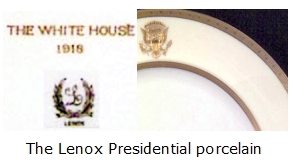 One of the great landmarks of American porcelain (which I talk about in my A- Z guide of china makers) was when, in 1917, the great Lenox company was the very first of the American makers to win a contract to supply the Whitehouse. Prior to Lenox winning the Presidential patronage in 1917, the natural assumption amongst US citizens was that American made china could only be in some way a poor imitation of the grand production values of European porcelain. 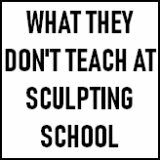 After all, Europe was making mighty sophisticated porcelain works of art from way back in 1710, when the American people were still struggling to colonize a huge and challenging new land. So utilitarian American pottery was seldom marked and more refined wares would have marks resembling the Europeans. Those that survived began to take on the might of the European porcelain makers and were very successful at it. Lenox of course and Homer Laughlin was, at one time, said to be the biggest pottery in the world. Then came the emergence of a more self-confident American style. For me, where the American makers come into their own are the factories that produced their own distinctive form of folk art pottery. Many US makers are now very collectible. We have some interesting China Chat about companies like Watt a prime example of American folk art within a manufacturing context. We have a nice post about Weller and the post about The Oxford Pottery Company is a treasure and I also love the post which identifies a mark which appears to say 'Yang' as the 'Mana' Pottery, the work of a Native American group of potters. I also love that we had the granddaughter of the founder of Blue Mountain pottery visit us to identify her family mark. Shenango China, who we identified by someone sending in a small shard they found in the middle of nowhere. 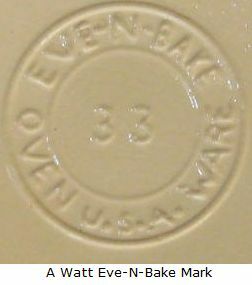 So if you are looking at pottery marks in the US, 1890 is one of the key dates to remember. All china and porcelain marks had to show a country of origin on import goods after that date, so that may help you identify an unmarked folksy piece as early 20th century American. Browse through the China Chat entries, they are worth getting your nose into! 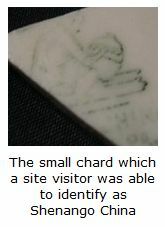 This is the pottery & china marks identification forum archive page 5. 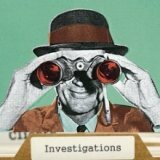 A free-to-access record of solved or retired queries posted by our visitors. Together, since 2007, we have been building this unique archive of shared knowledge on identifying pottery and china marks. Some people whose marks we have identified had been looking for over 20 years. A big congratulations if you have been one of the people who have helped or posted an interesting query. 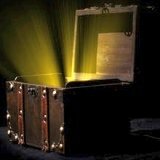 Feel free to browse or search freely..
Search ALL the forum posts and answers by using the search box below, or otherwise you are free to browse the titles and links. Below are the China Chat archives for American & Canadian Marks. Decalcomania Semi-porcelain plate rim shard - GMC or CGM or GCM or MCG or MGC Co.
Brazos Santiago, TX saucer fragment. 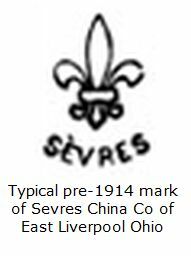 Pottery Mark Query - A stylized "BB" or "1313"
Mark of the Sevres China Co? Pottery mark query - 5-pointed star on teapot - a Brown Betty?